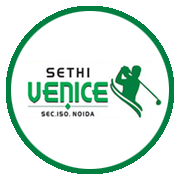 Sethi Venice offers 3/4 BHK Apartments, located at the prime location of Noida Expressway in Sector 150 which is a part of Sports City and easily accessible from Delhi NCR. Sethi Venice is an ultimate destination for living a dream life. The project is designed by one of India's leading architecture firms Deepak Mehta & Associates. Project is loaded with modern amenities to pamper you with premium comforts.